As traction globally increases, more parties are working on realizing the hyperloop concept. However, several big challenges lie ahead in terms of standardization and certification. To tackle these specific challenges, governments should step in and get involved in the development. Multiple governments have shown interest in the concept and are in close contact with the key players in hyperloop development. The Canadian government recently joined by investigating hyperloop's feasibility. 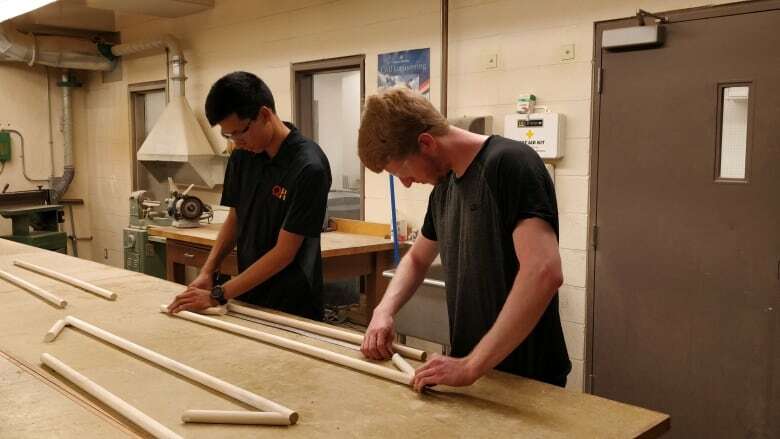 As the Canadian federal government gets set to kick the tires (or tubes) on hyperloop technology, university students in Kingston, Ontario, are preparing their own design. A hyperloop, the brainchild of Tesla co-founder Elon Musk, is a proposed transportation system that would see people in pods traveling at high speeds in a low air pressure tube. The Canadian government posted a tender on March 2019 asking for consultants to evaluate the technical feasibility of a hyperloop and the claim that systems could be set up for a similar price as high-speed rail. Arman Dhillon, a third-year engineering student at Queen's on the school's hyperloop design team, said the technology exists and the real challenge will be winning over people's minds. "On a wider scale it's just getting people to buy into the idea of putting yourself into this low-pressure tube," he said on CBC's All In A Day. The team will be traveling to California this summer to compete at a challenge from Musk. Dhillon said there are teams that have sent tubes moving at 500 km/h and he is impressed the government is taking a hard look at the idea. "It's super exciting. It's cool to see how far this idea has come in the last six or seven years since it was first proposed," he said. His team is working on manufacturing a half-scale model of its design and finding places to test it. "Everything in our pod needs to be able to work in a vacuum, which is not a common thing." Dhillon said he hopes full-scale versions of the technology will come to reality soon. "Canada doesn't currently have a high-speed rail system, it would be really cool to see this idea come into place."